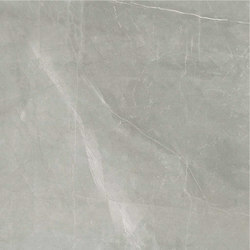 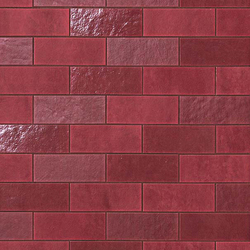 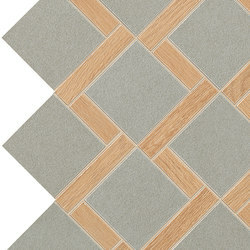 Sizes (cm-in): 25x150 - 97/8”x59 Matte; 18,5x150 - 71/4”x59 Matte; 15x90 - 57/8”x353/8” Matte; 40x120 - 153/4”x471/4” Textured LASTRA 20mm; 60x60 - 235/8”x235/8” Textured LASTRA 20mm. 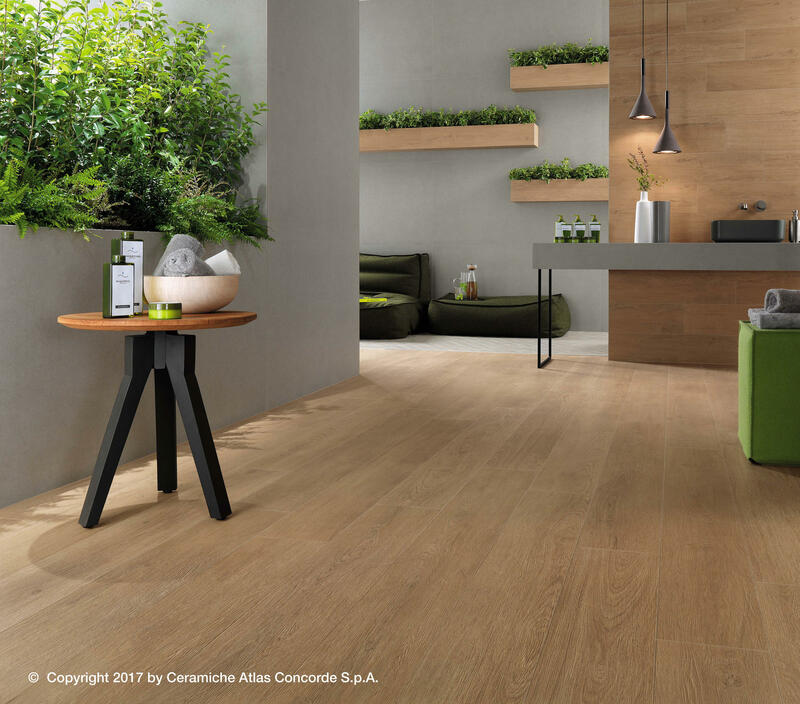 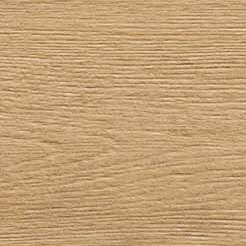 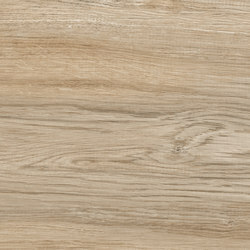 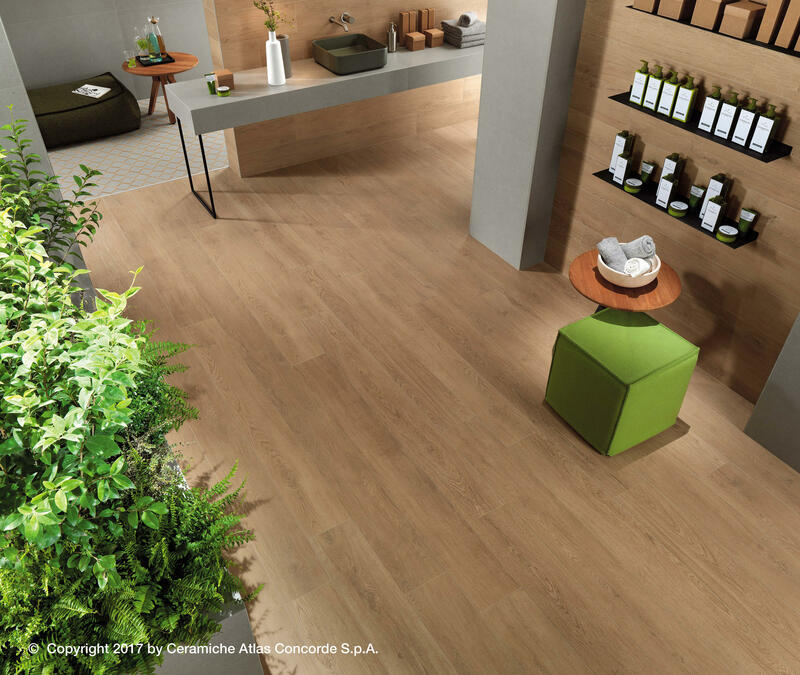 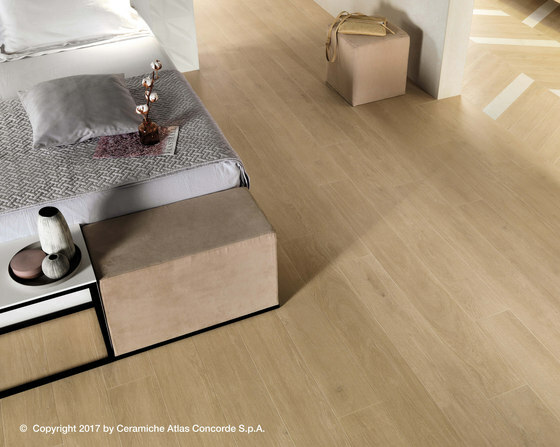 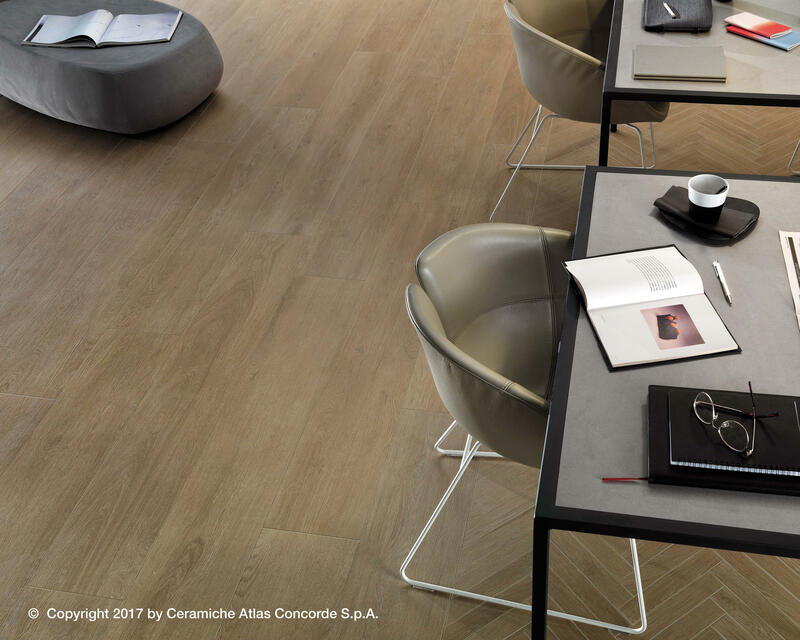 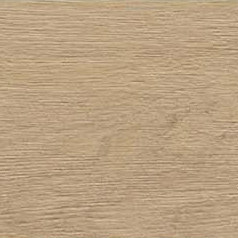 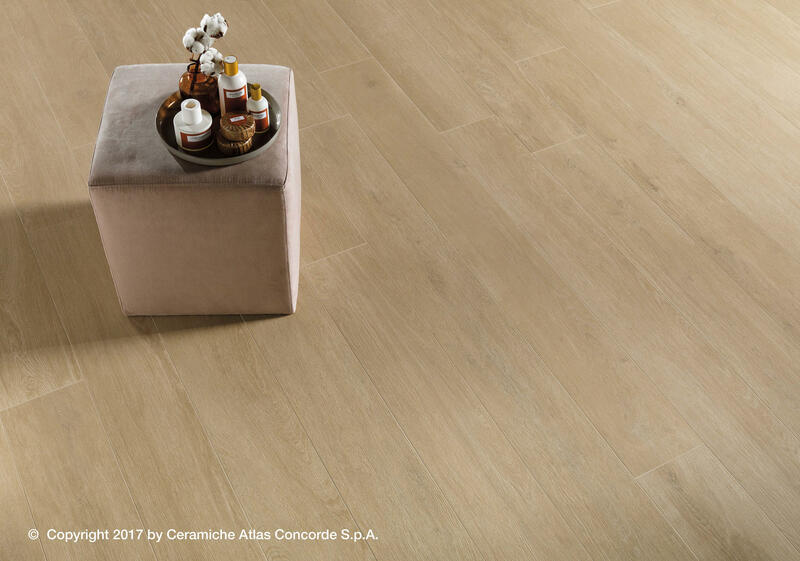 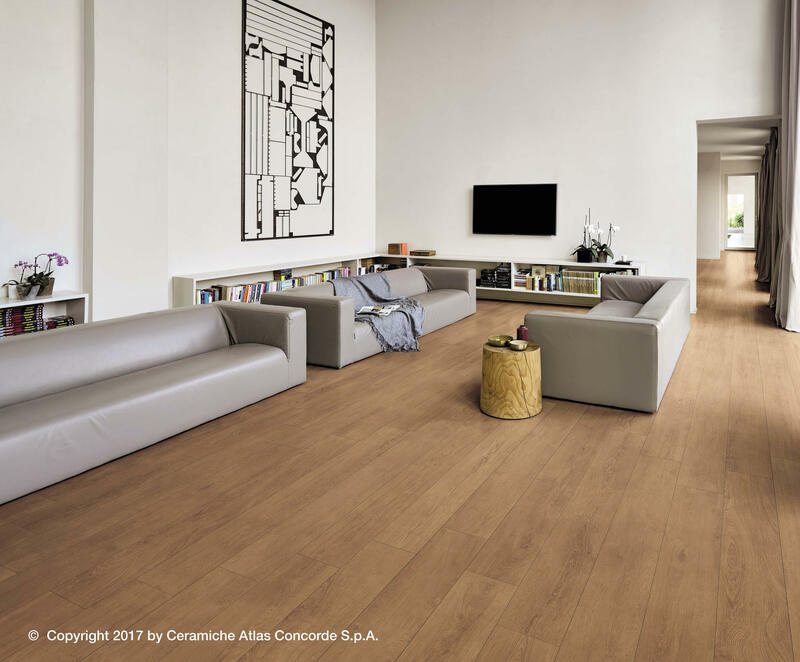 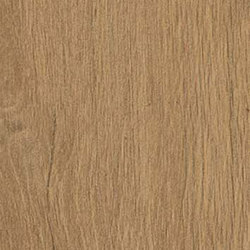 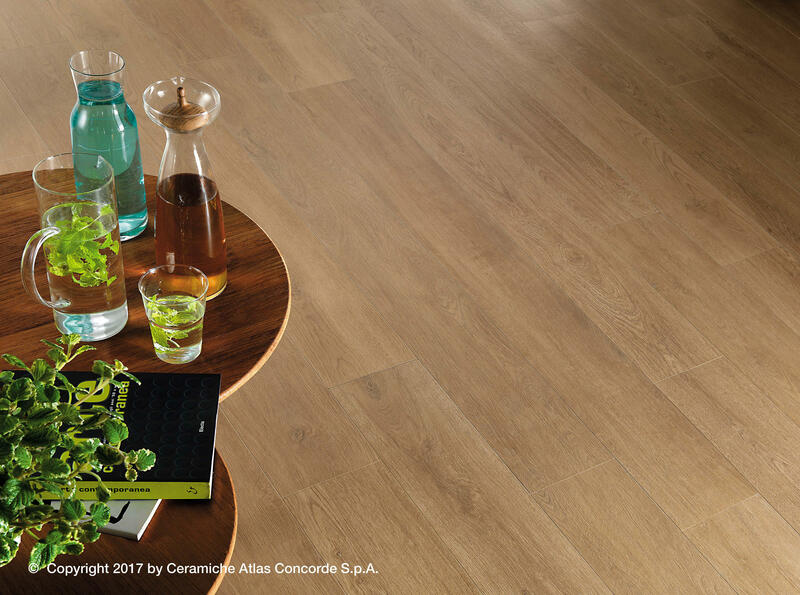 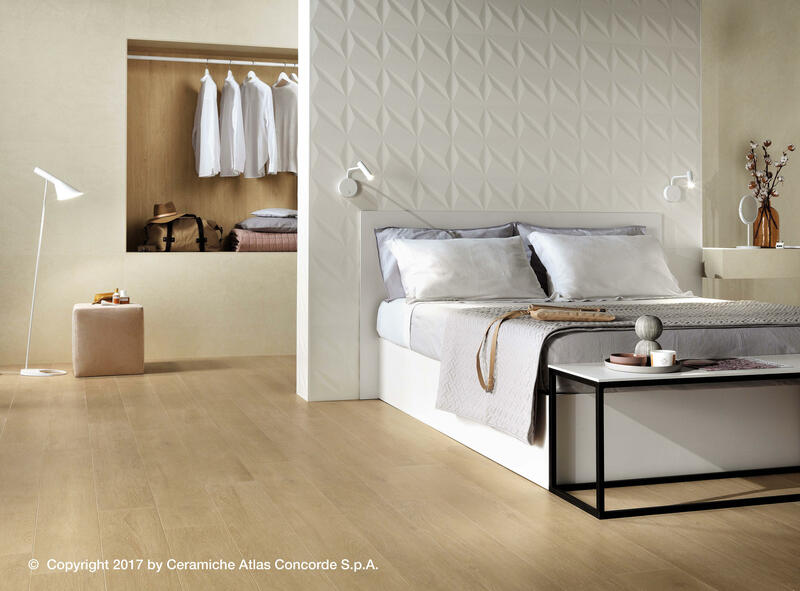 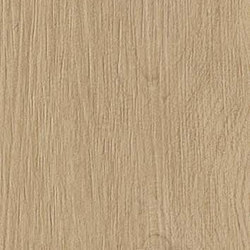 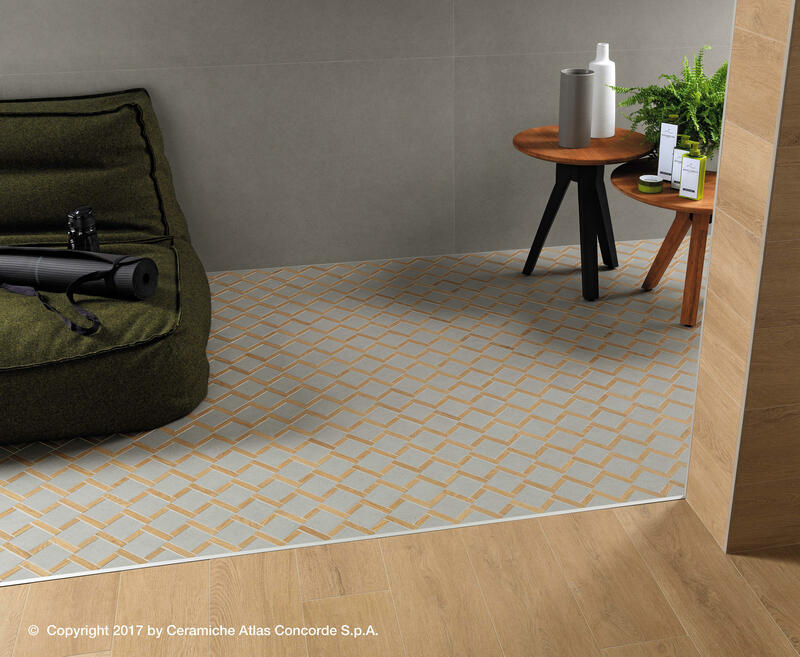 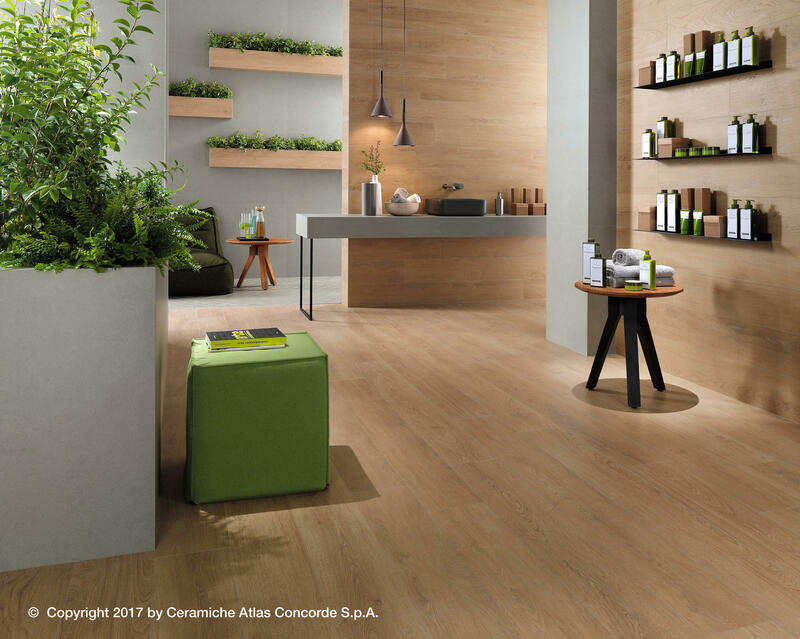 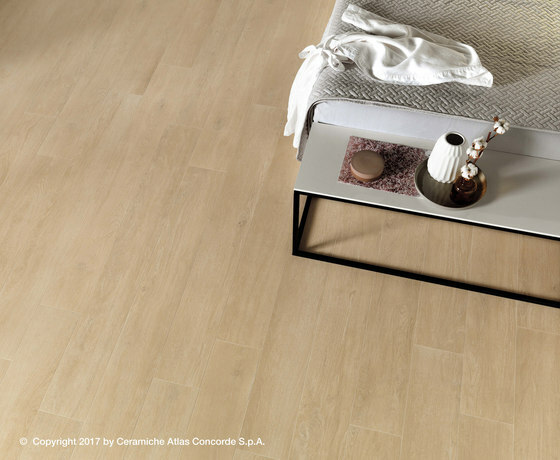 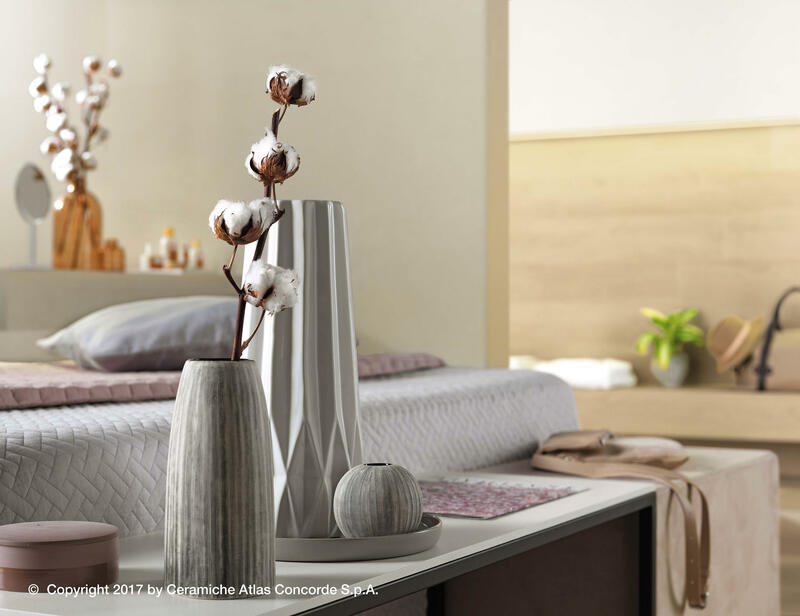 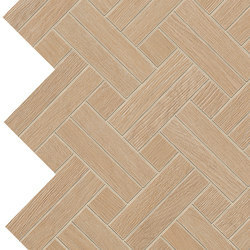 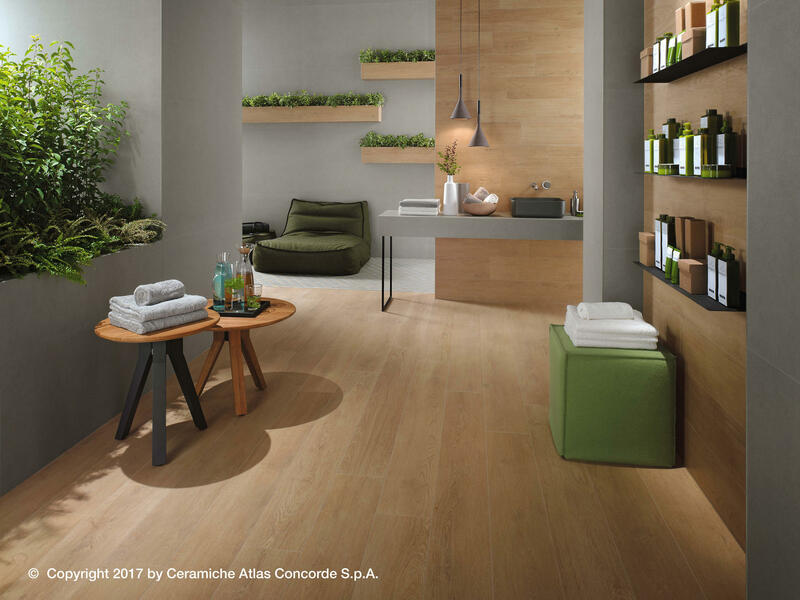 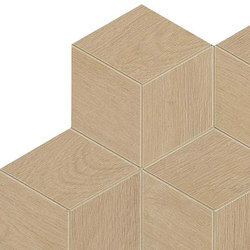 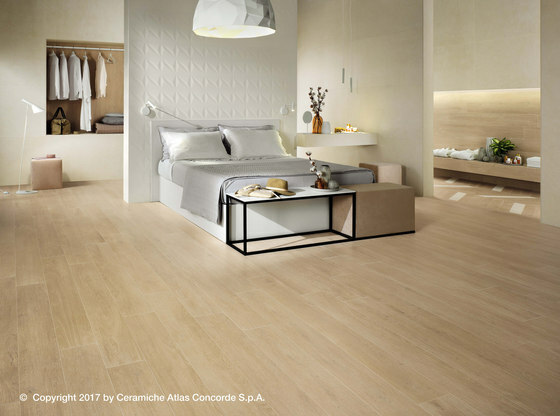 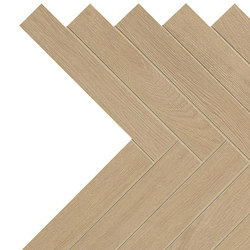 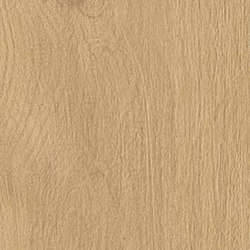 Atlas Concorde's NID is a collection of surfaces that recall the elegant look of oak with a balanced mix of knots and veins, communicating a sense of natural purity. 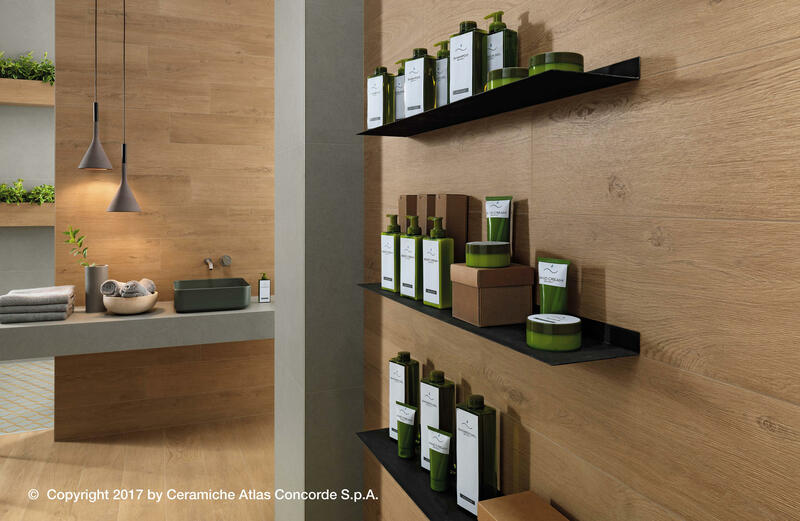 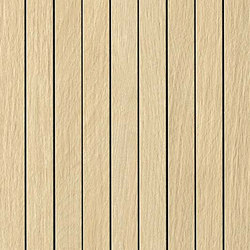 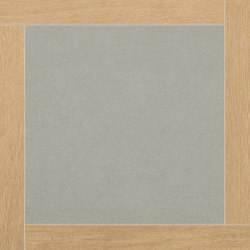 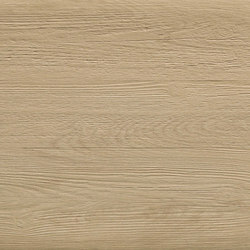 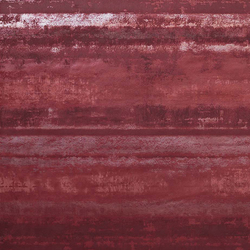 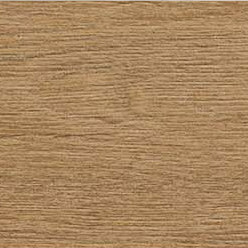 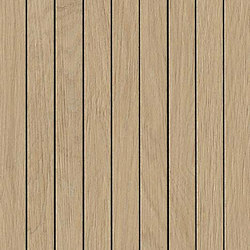 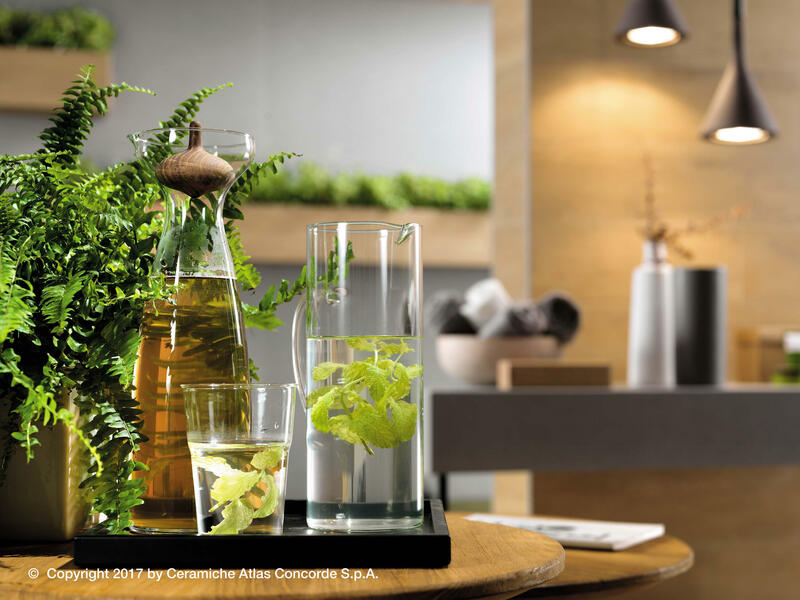 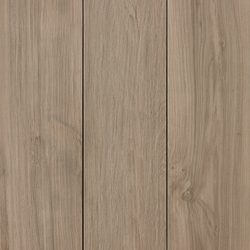 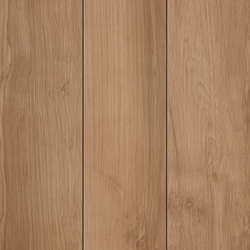 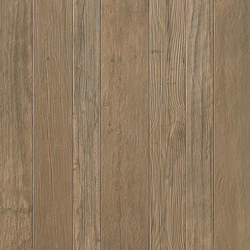 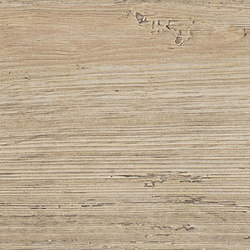 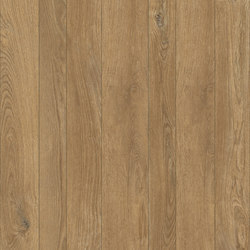 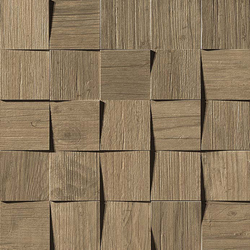 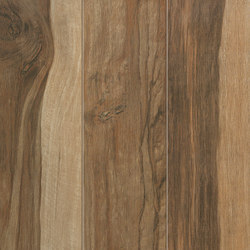 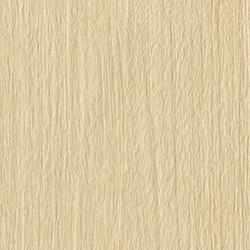 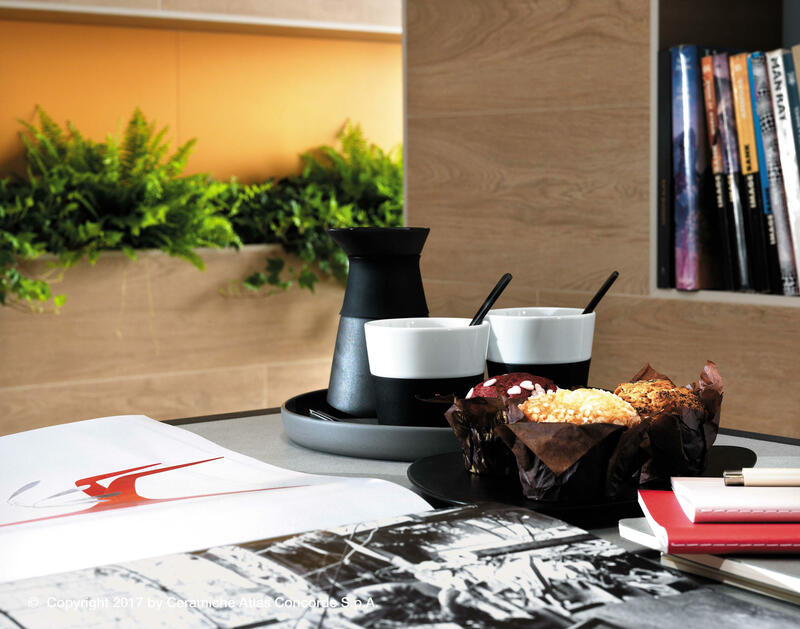 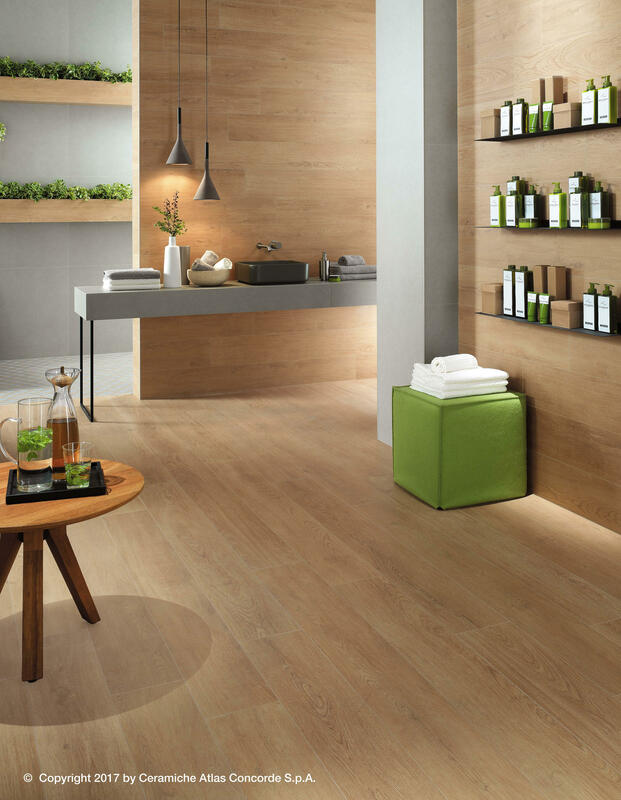 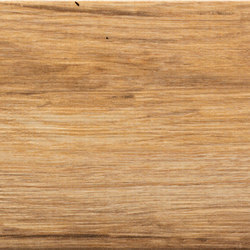 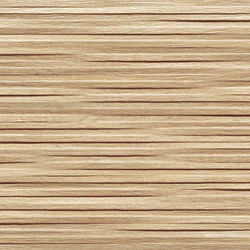 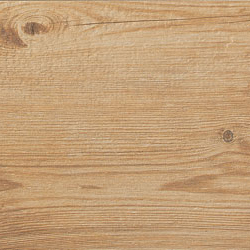 The surface recalls the typical movement of natural wood strips, for an elegant and balanced effect. 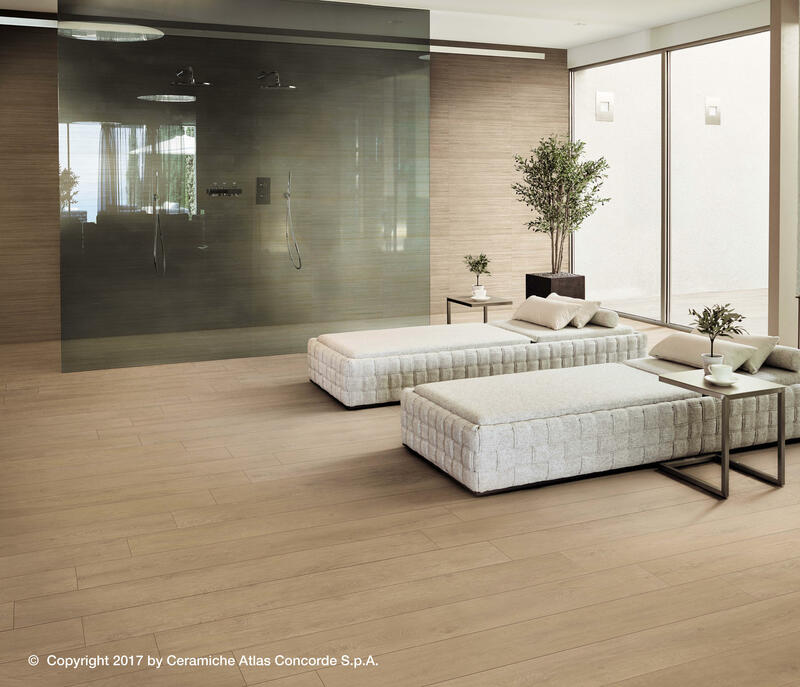 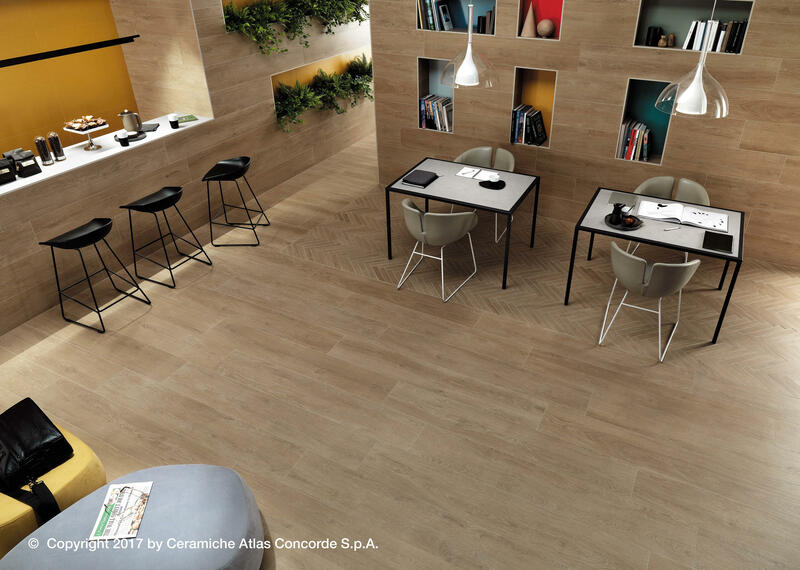 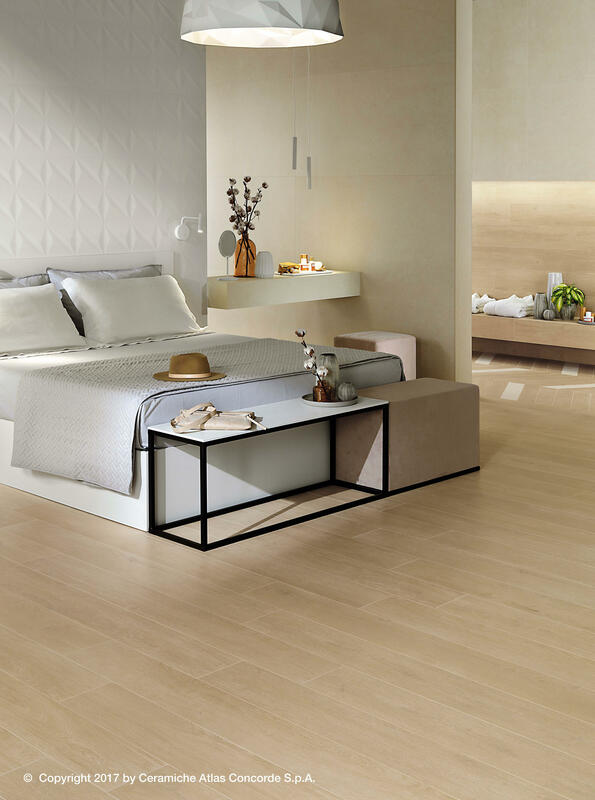 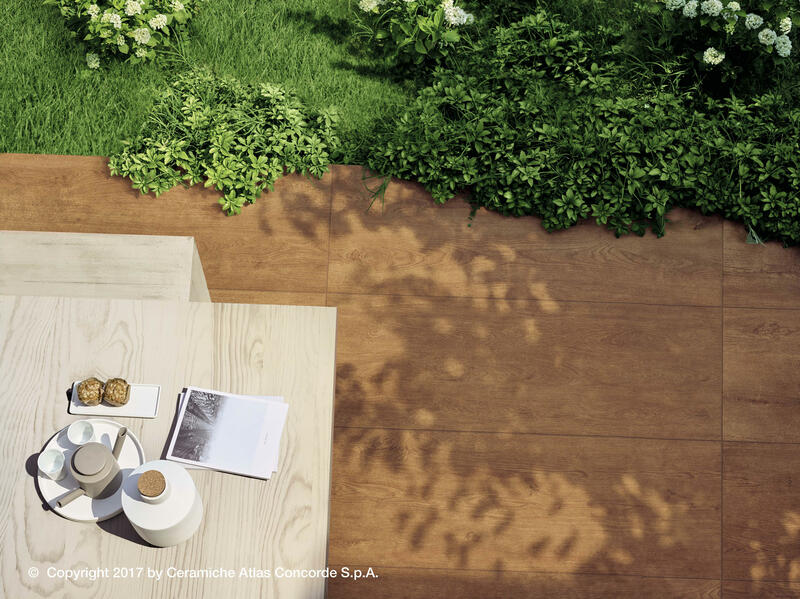 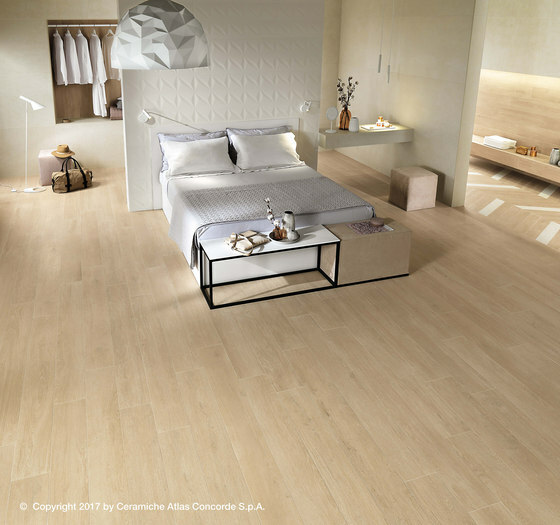 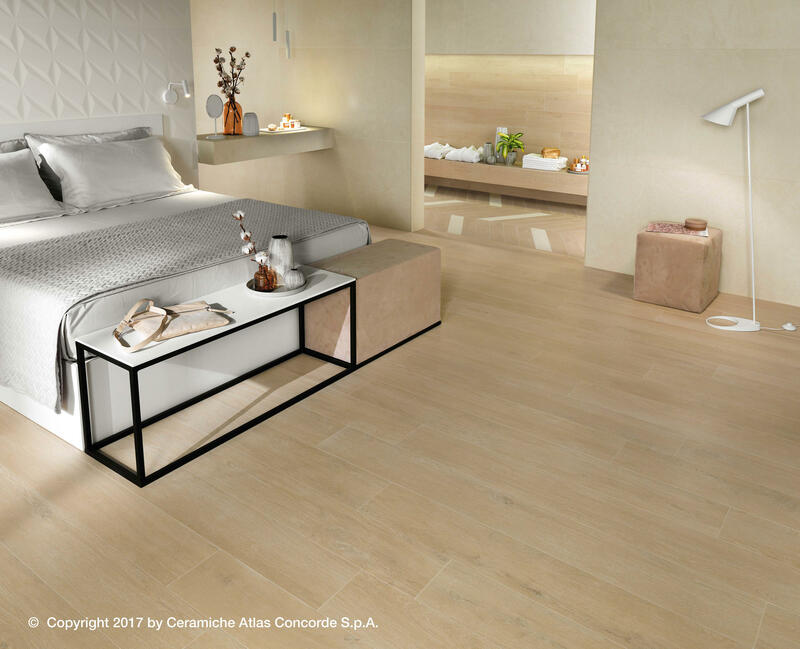 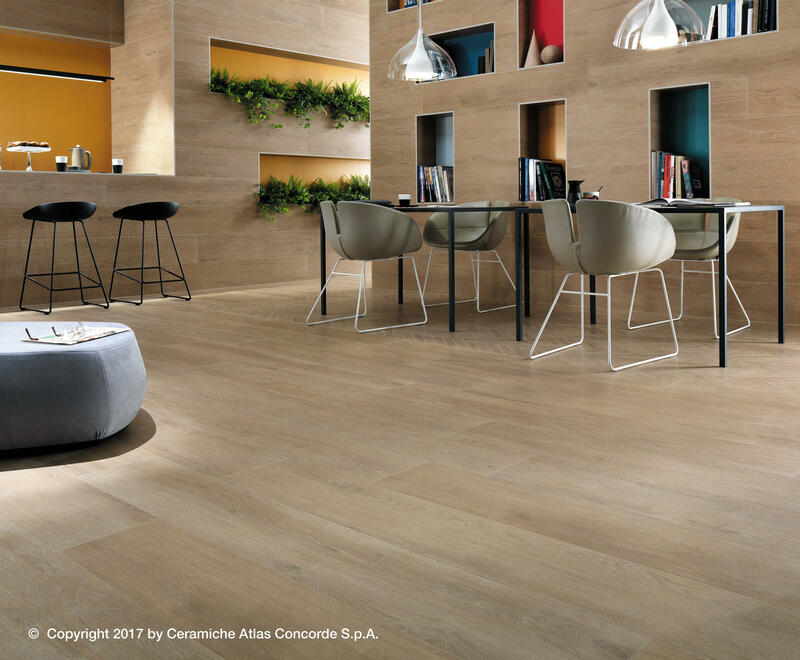 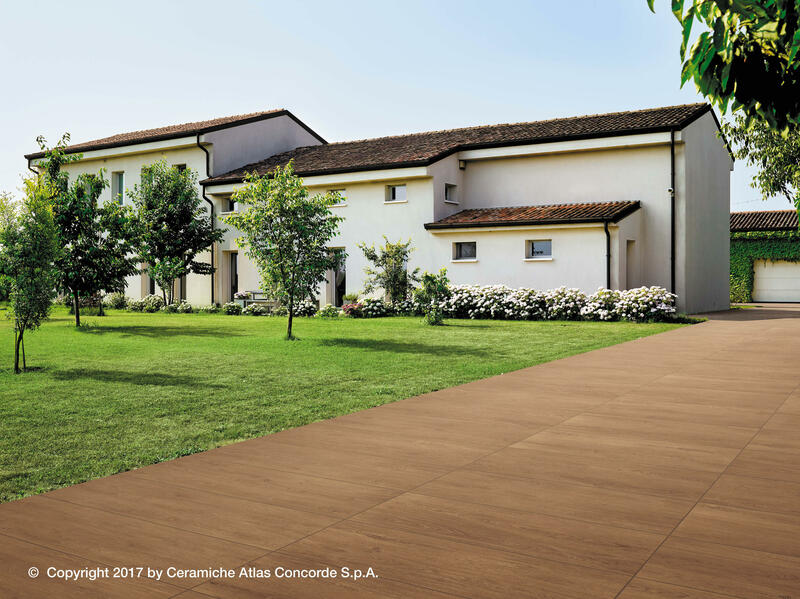 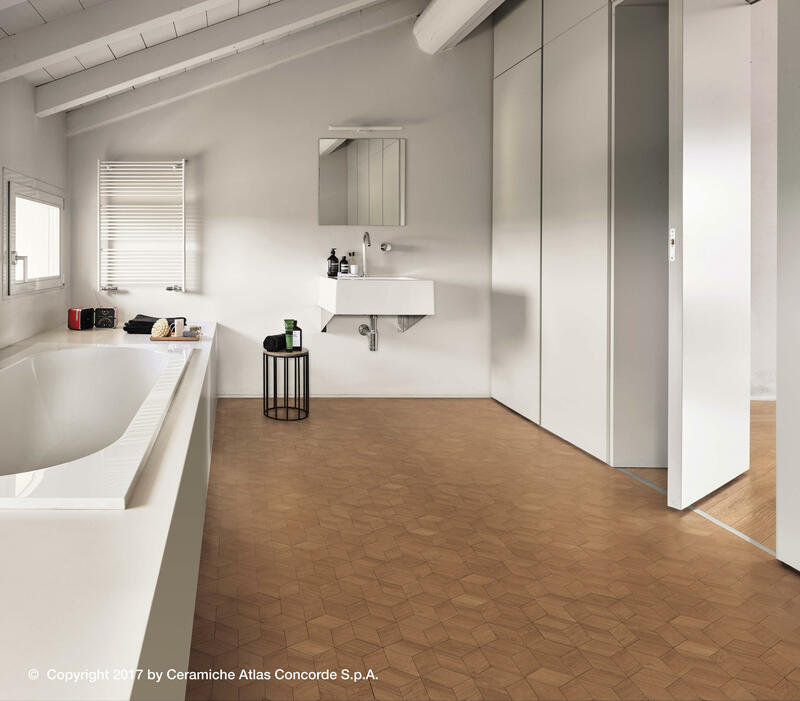 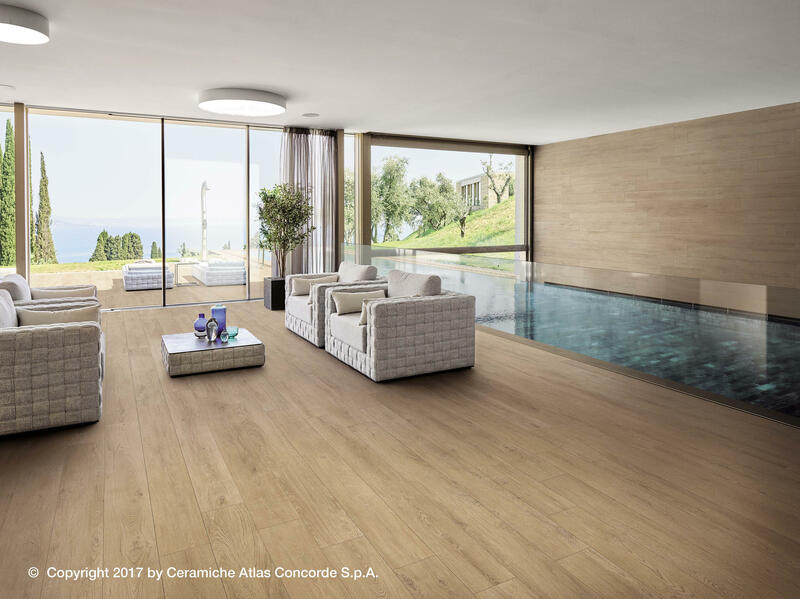 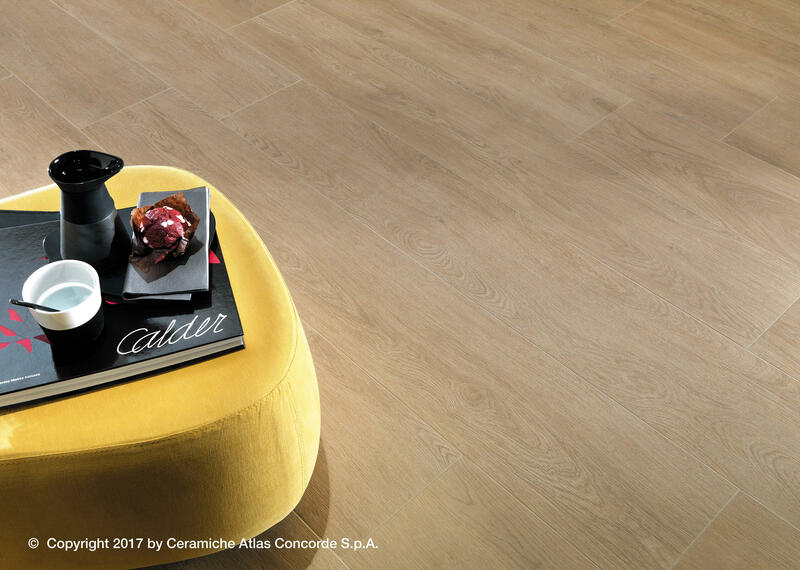 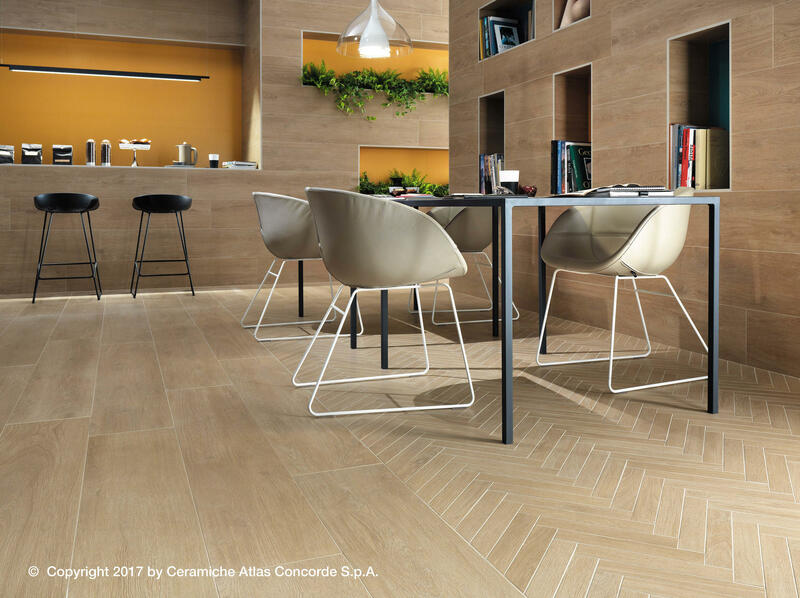 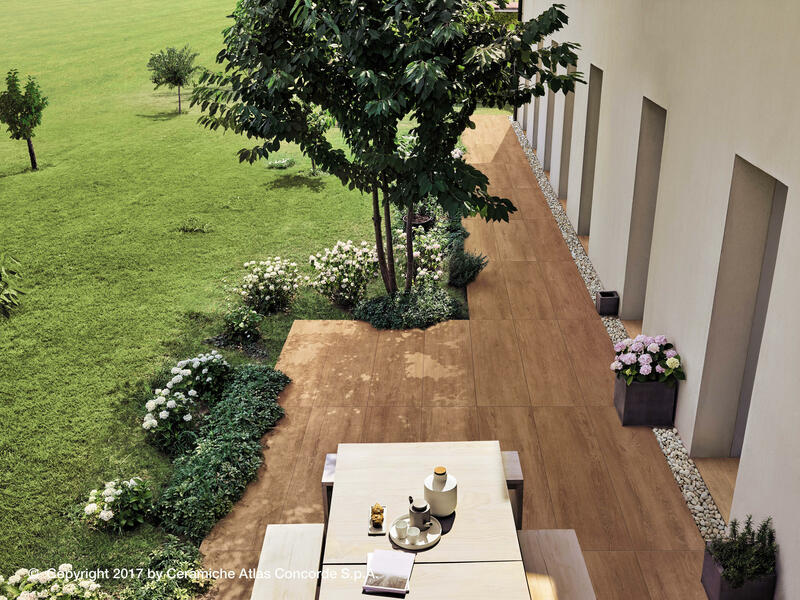 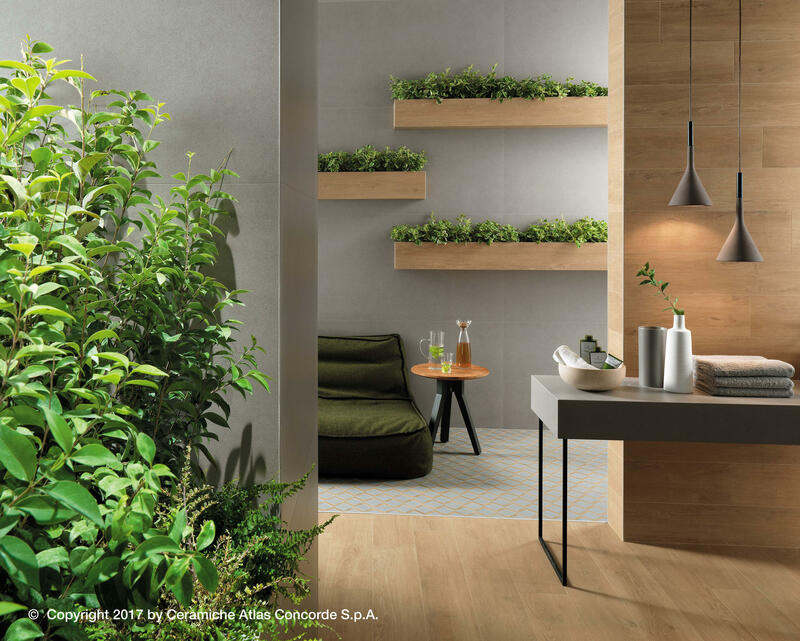 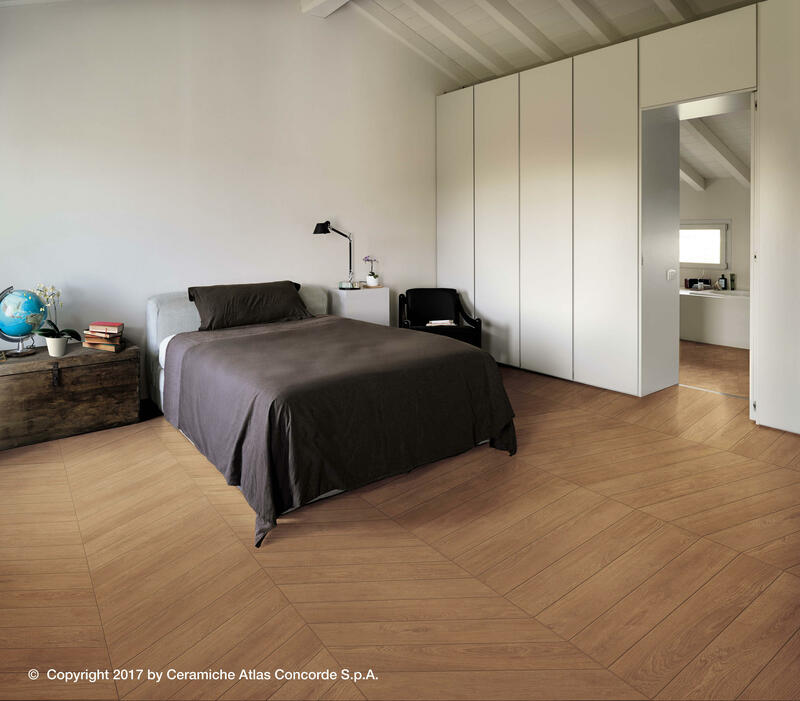 The wood-effect porcelain tiles are distinguished by a surface that communicates balance and harmony, emphasizing the sense of personal design. 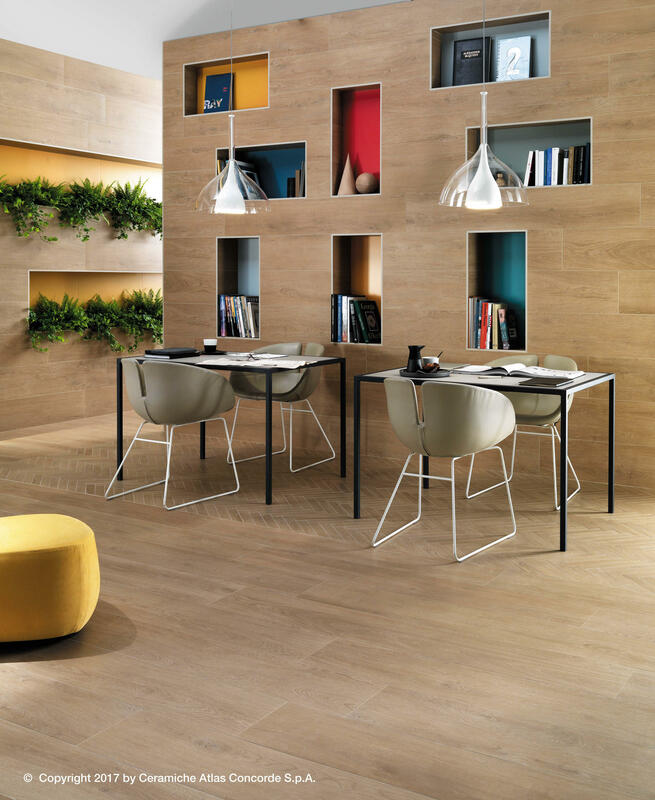 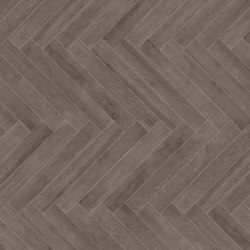 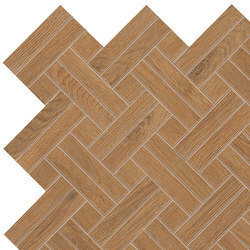 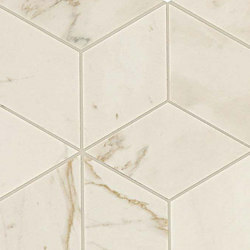 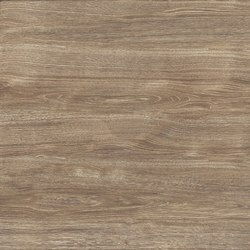 The porcelain tiles feature a warm and delicate color palette arrayed in four colors that bring out the sophistication of the oak, for spacious and natural atmospheres. 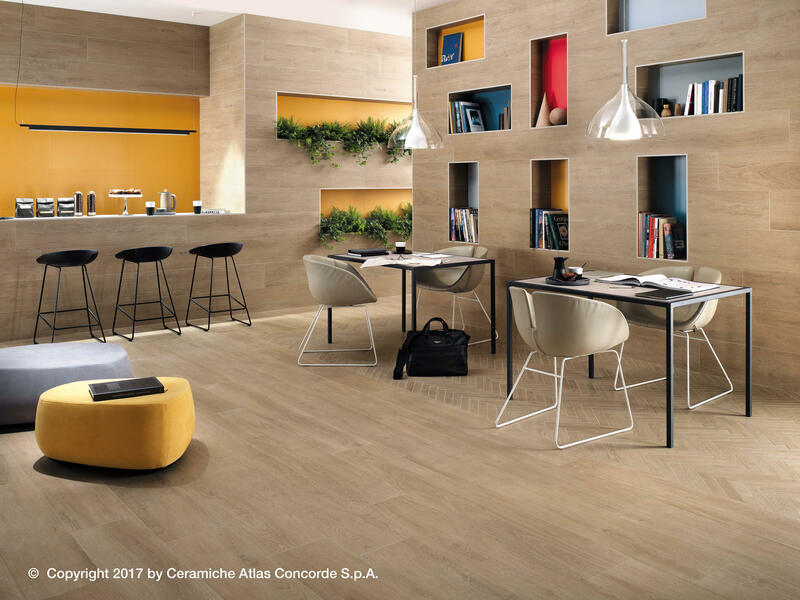 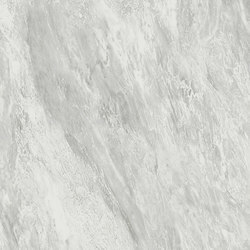 The matte finish is also available in the slender 18,5x150 cm - 71/4”x59” format, together with the 25x150 cm - 97/8”x59” and 15x90 cm - 57/8”x353/8” sizes, with a micro-textured surface that guarantees a blend of high, non-slip performance and a smooth, pleasant touch. 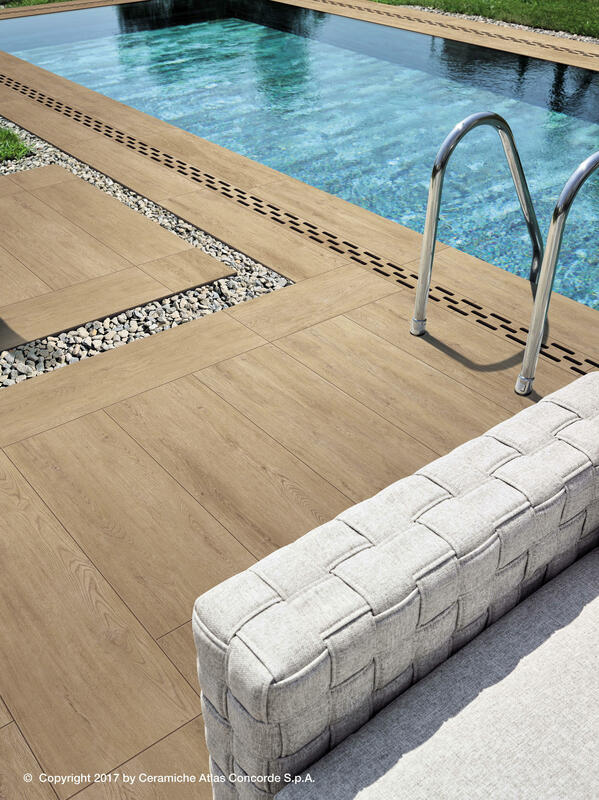 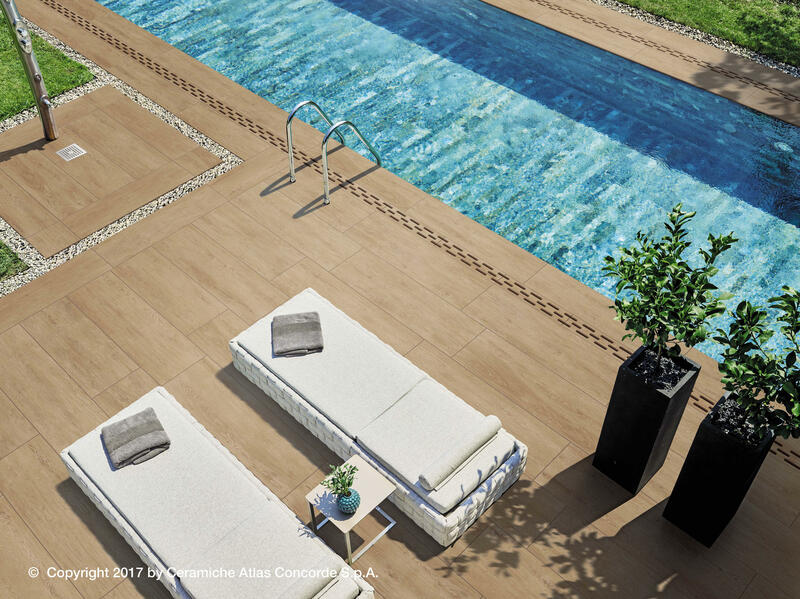 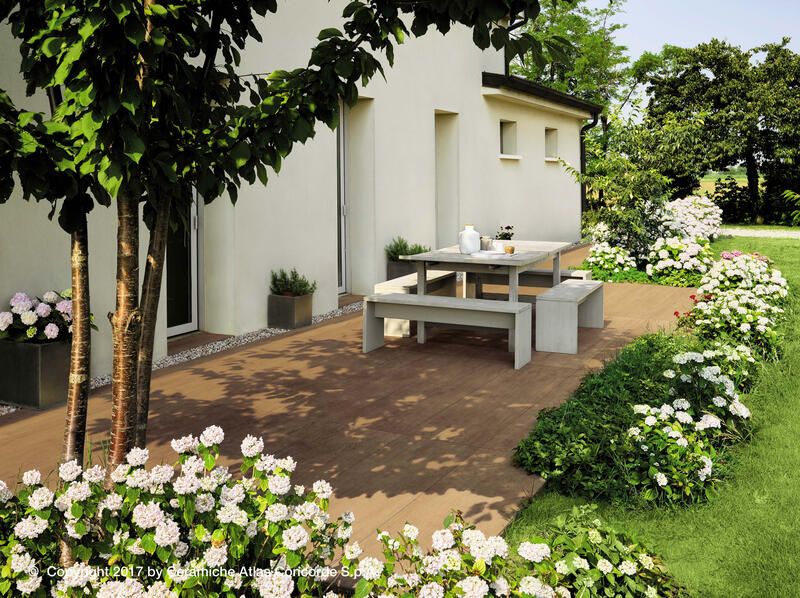 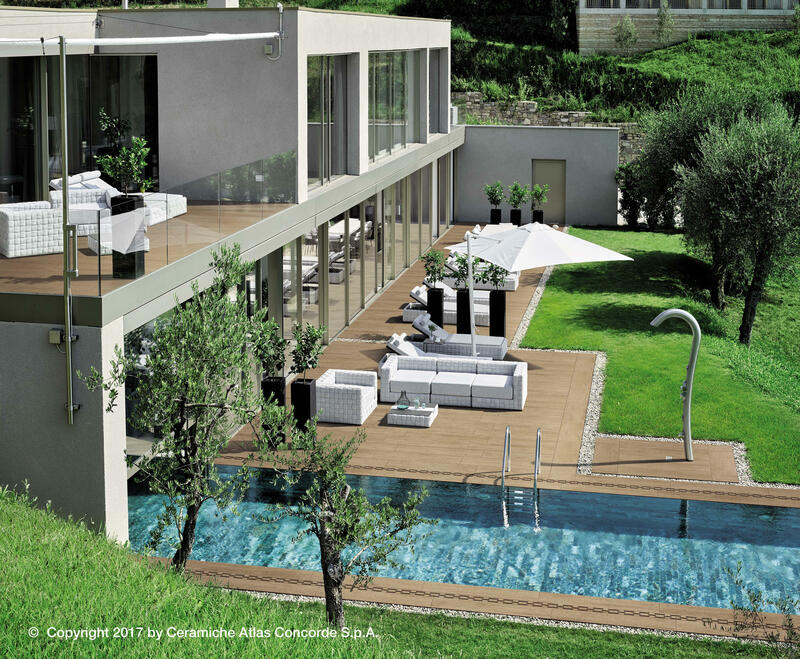 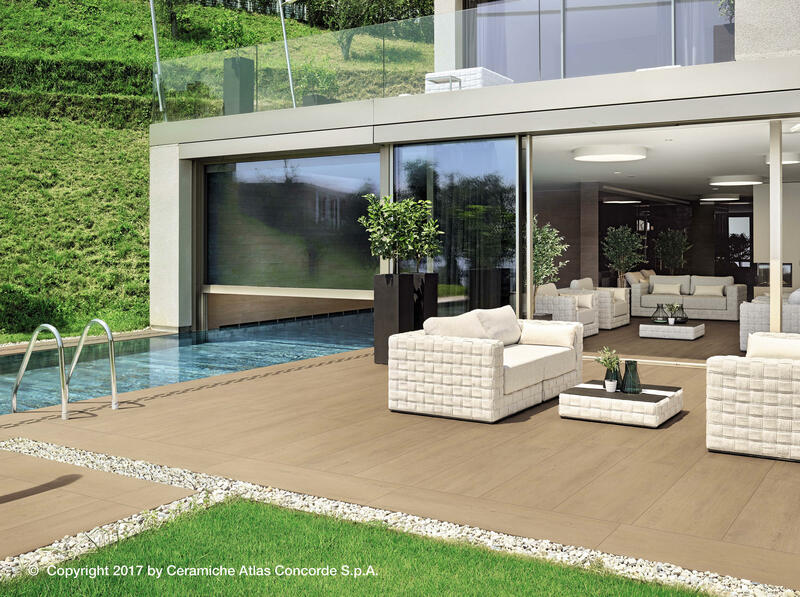 To design an outdoor space that offers visual continuity with the interior design, the collection includes 2 cm thickness outdoor pavers in sizes 60x60 cm - 235/8”x235/8” and 40x120 cm - 153/4”x471/4”: the surface has a natural texture, slightly marked but consistent with the entire range, and guarantees superior anti-slip properties. 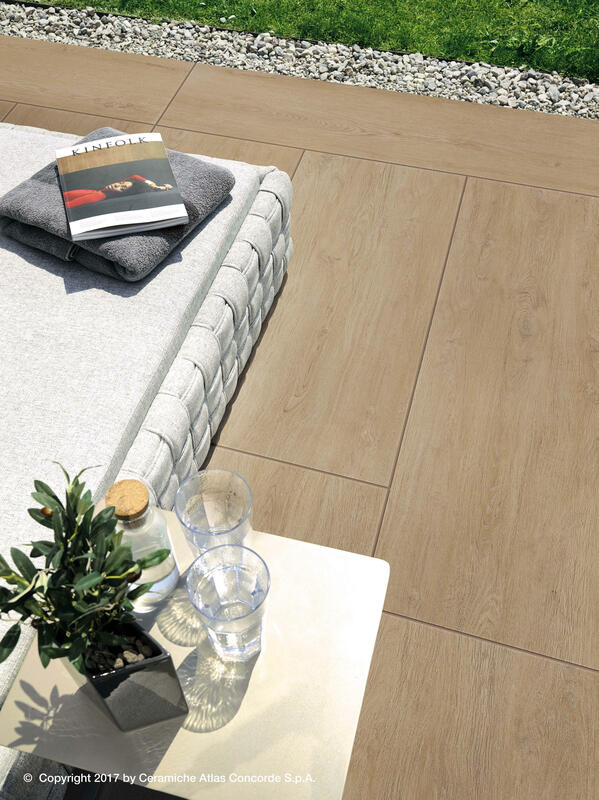 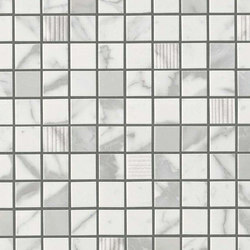 The decorative appeal of the collection translates into a rich ornamental range of floor and wall tiles, made up of shapes and combinations with the look of wood. 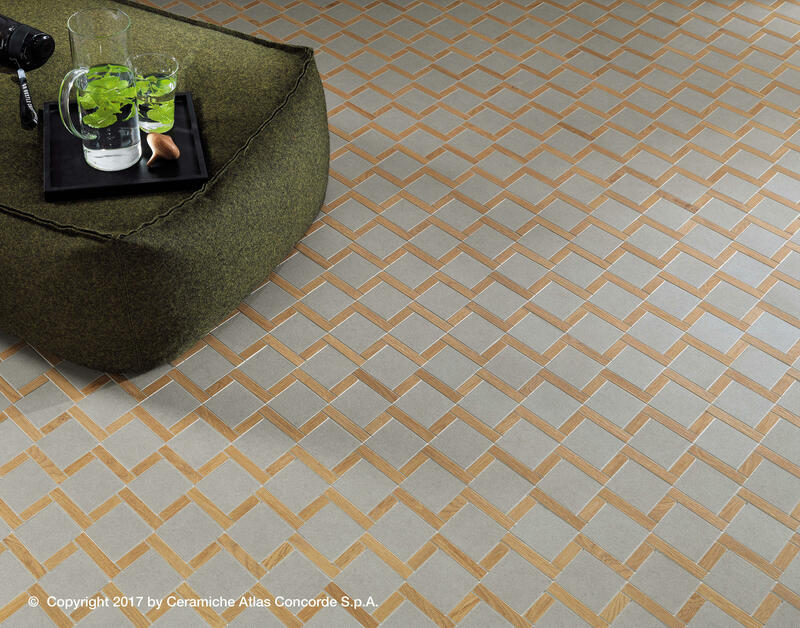 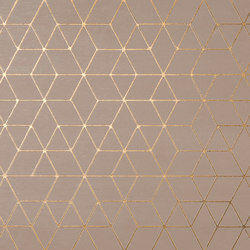 These decorations are complemented by classic chevron, herringbone, and tatami motifs, coordinated with other surfaces of the collection. 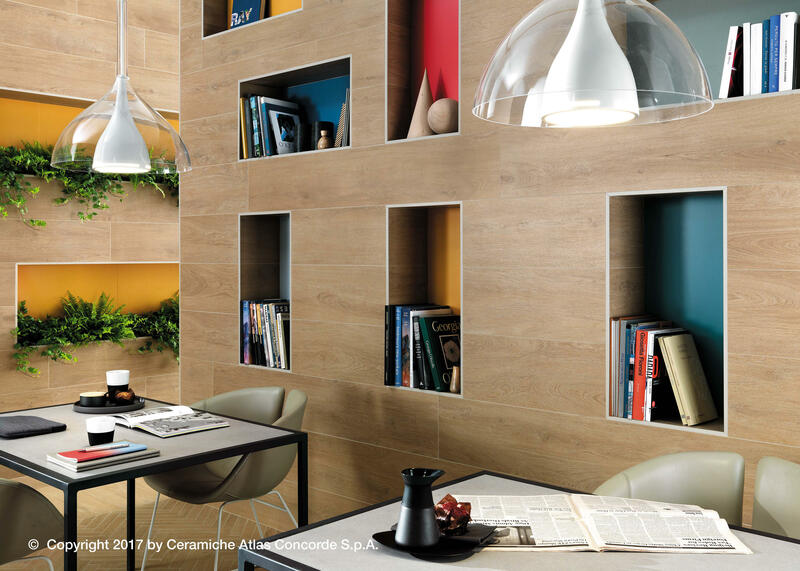 The pure personality of wood opens to the world of three-dimensionality with 3D wall tiles rich in reliefs having a decorative character. 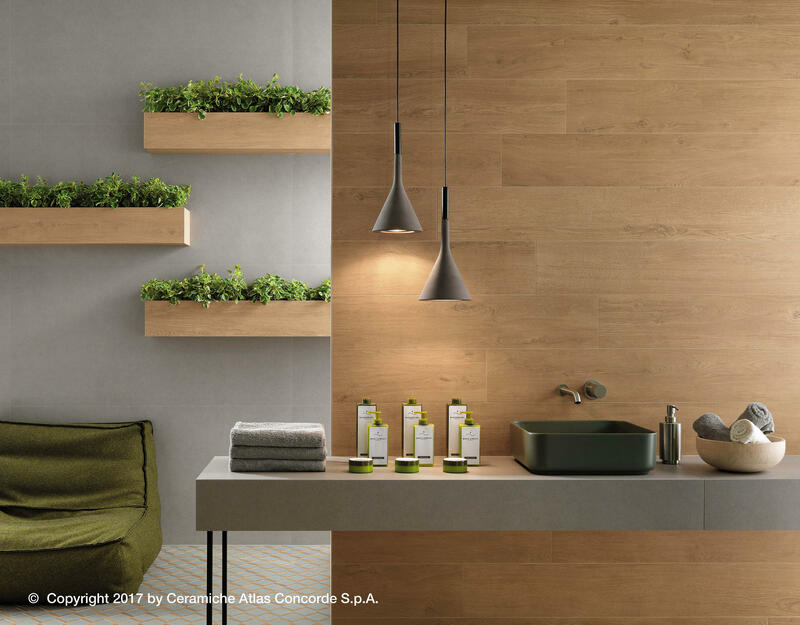 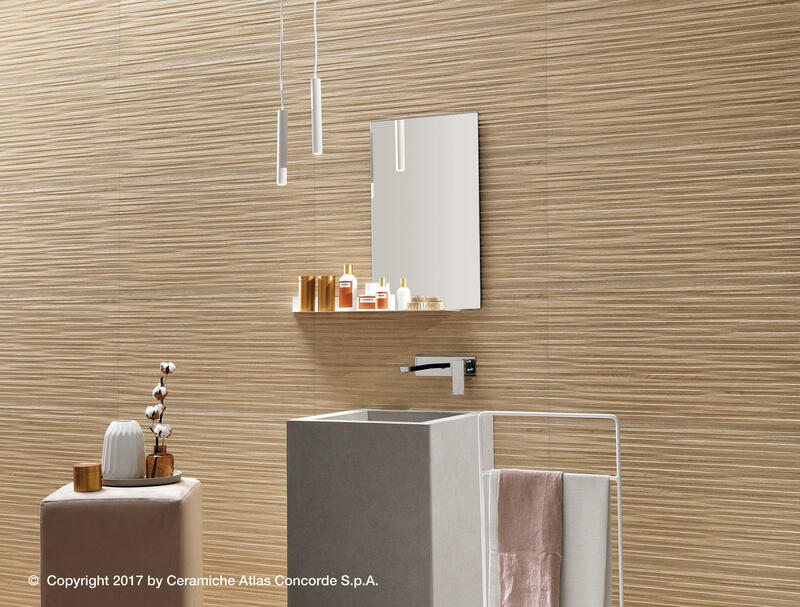 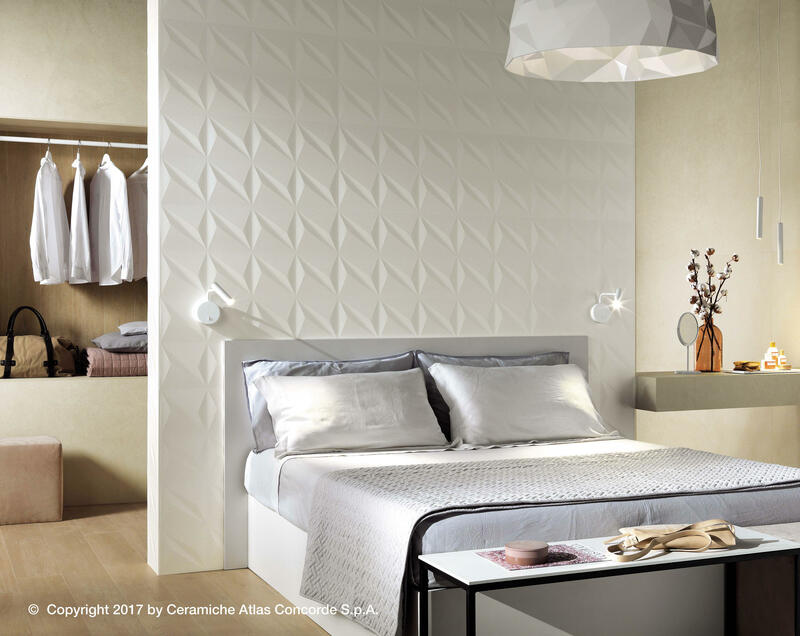 The 3D ceramic wall tiles are available in matte finish, in two shades of oak, coordinated with the porcelain tile floors: one light and delicate, the other elegant and sophisticated. 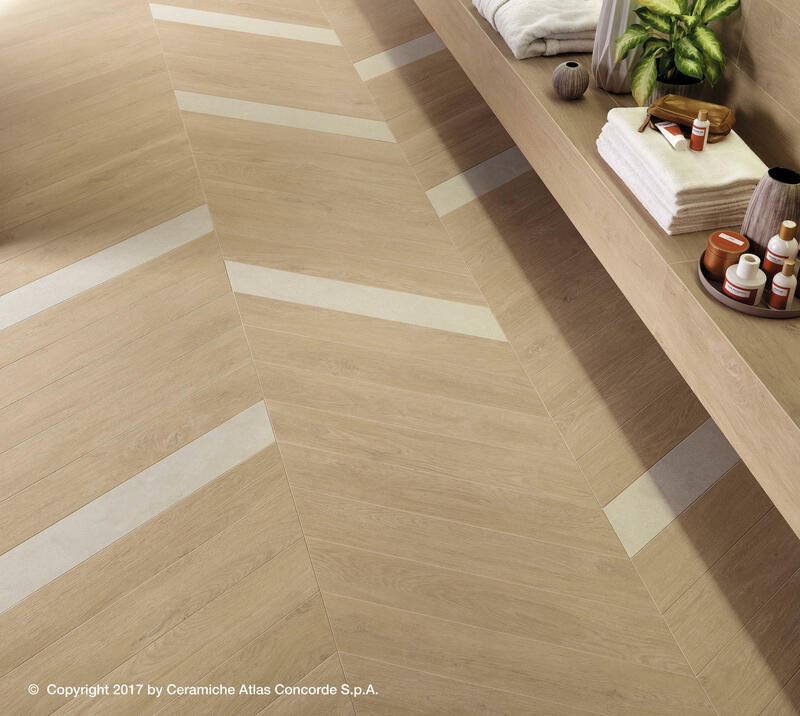 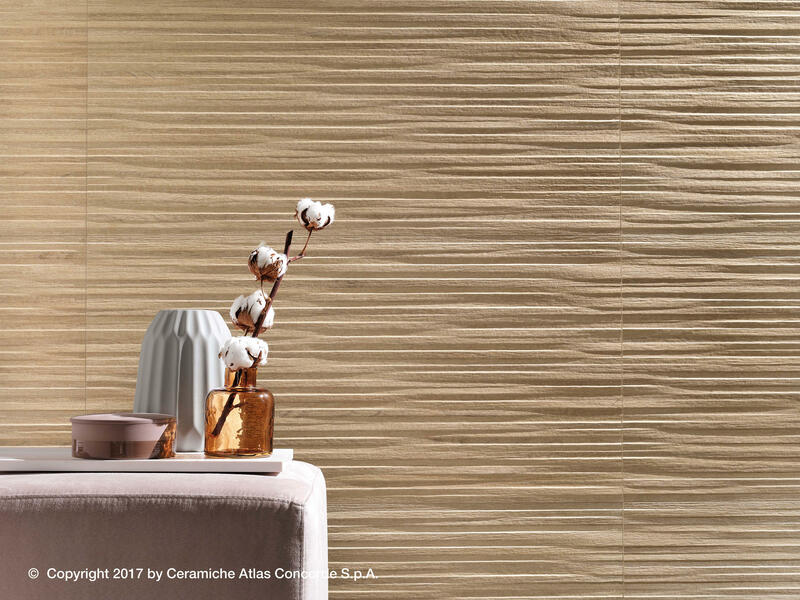 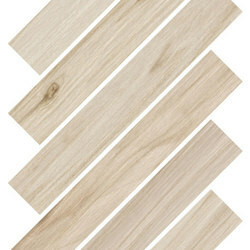 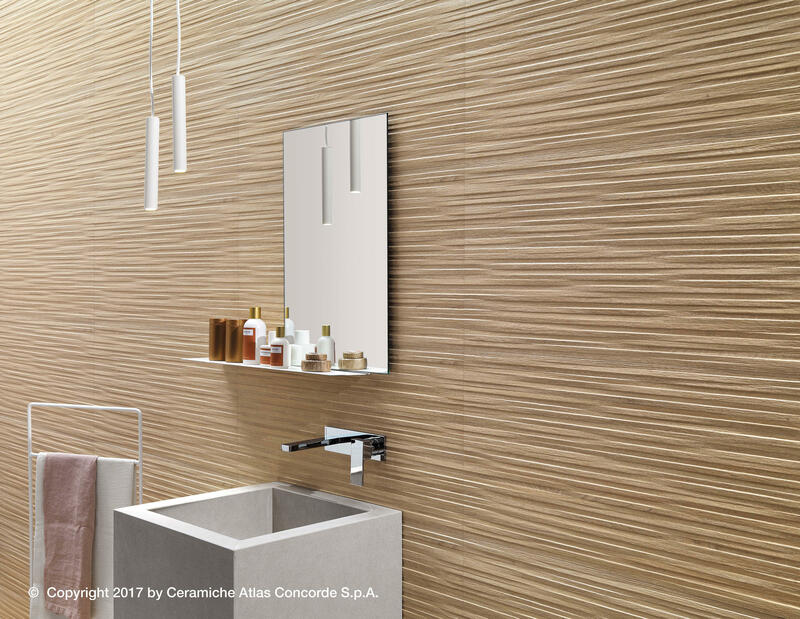 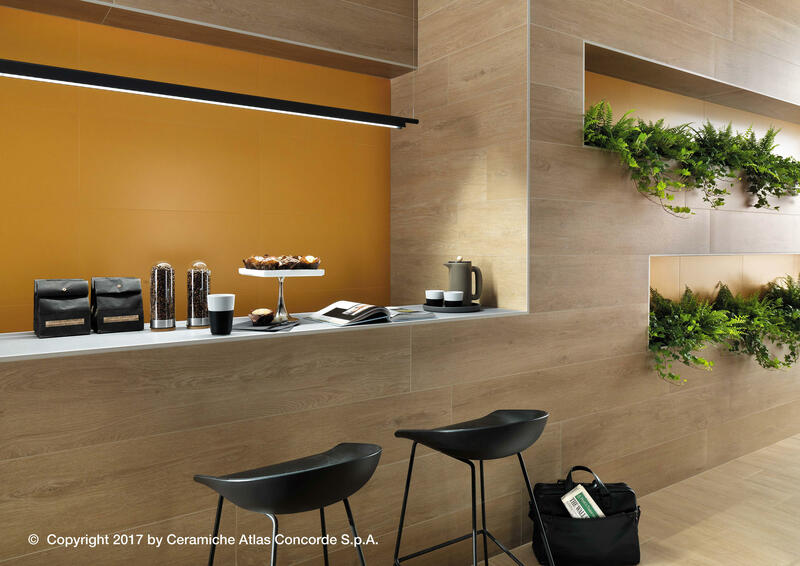 The three-dimensional ceramic surface, offered in the 40x80 cm - 153/4”x311/2” format, is made up of irregular and asymmetrical horizontal lines, inspired by planks viewed from the side for an interpretation of wood that is particularly sophisticated.